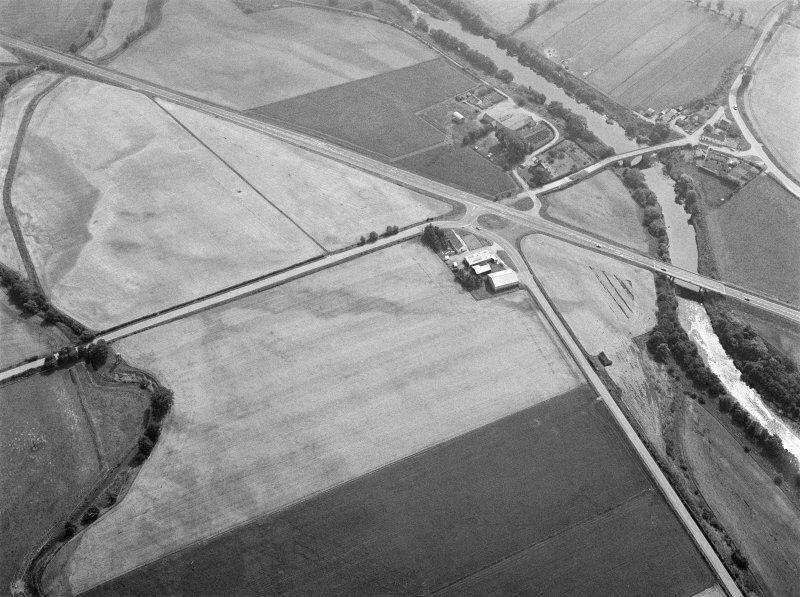 Oblique aerial view centred on the road bridges and tollhouse, taken from the SE. 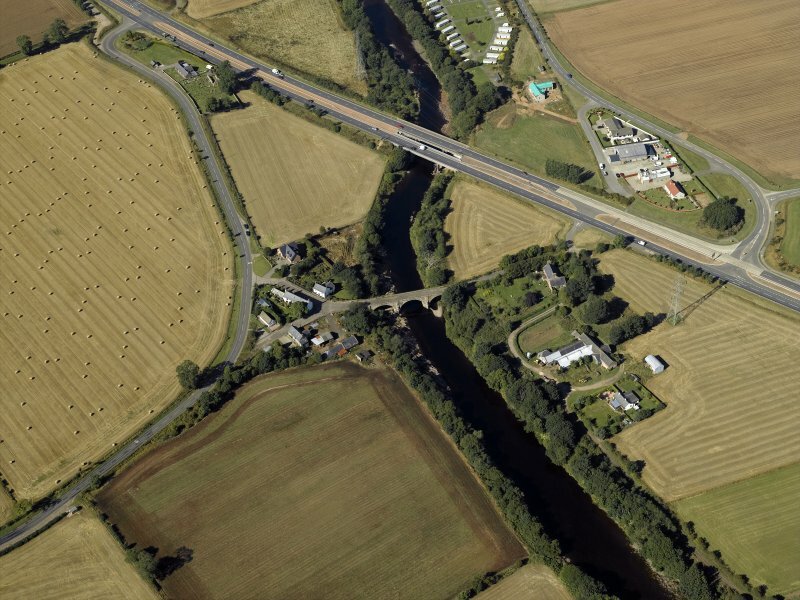 Oblique aerial view centred on North Water Bridge and the A90, looking to the WNW. 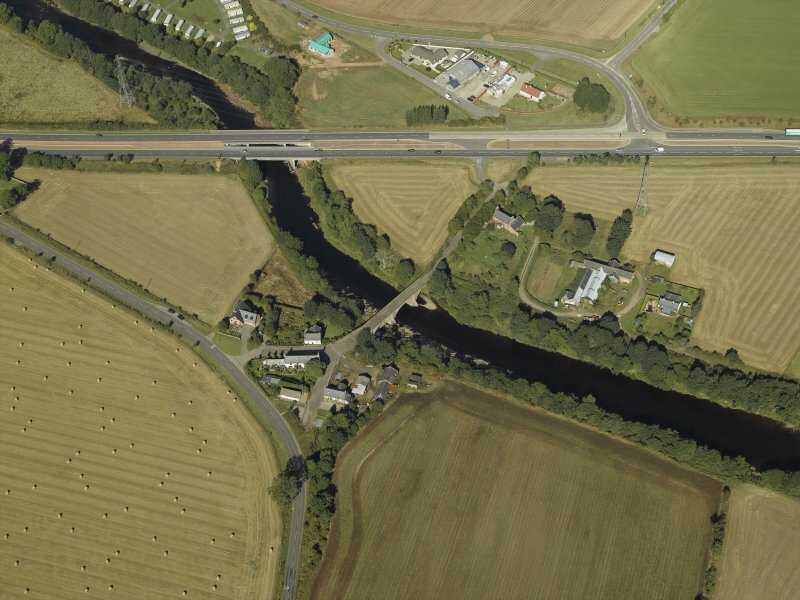 Oblique aerial view centred on the road bridges and tollhouse, taken from the WNW. 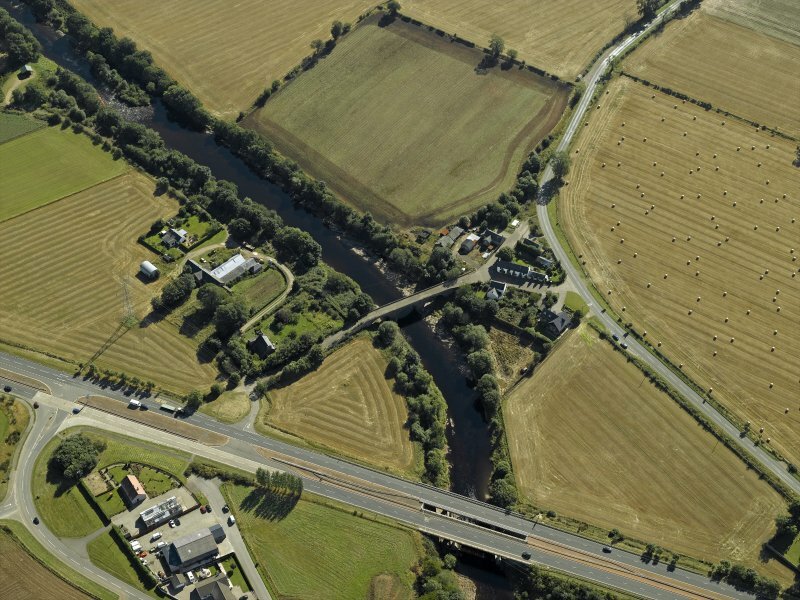 Oblique aerial view centred on the road bridges and tollhouse with the church and burial ground adjacent, taken from the E.
Oblique aerial view centred on the road bridges and tollhouse, taken from the SW.
Oblique aerial view centred on North Water Bridge and the A90, looking to the ESE. 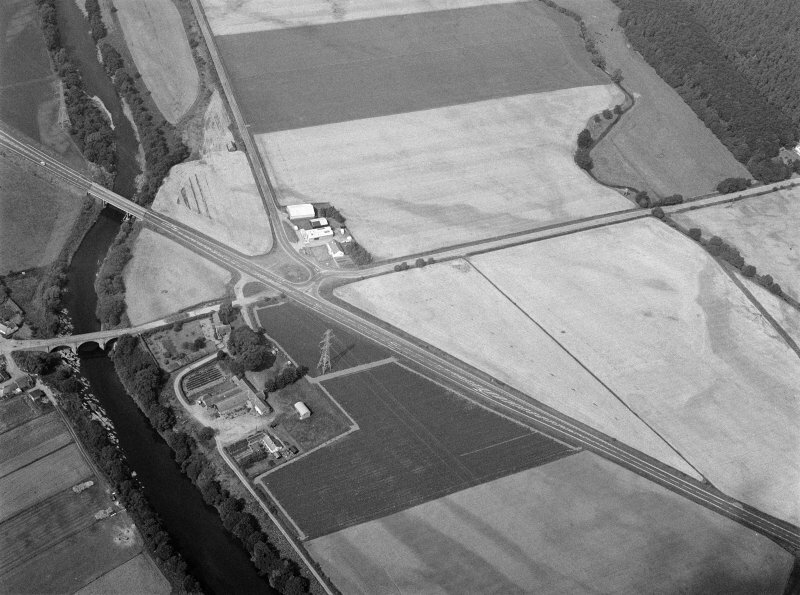 Oblique aerial view centred on North Water Bridge and the A90, looking to the SE. 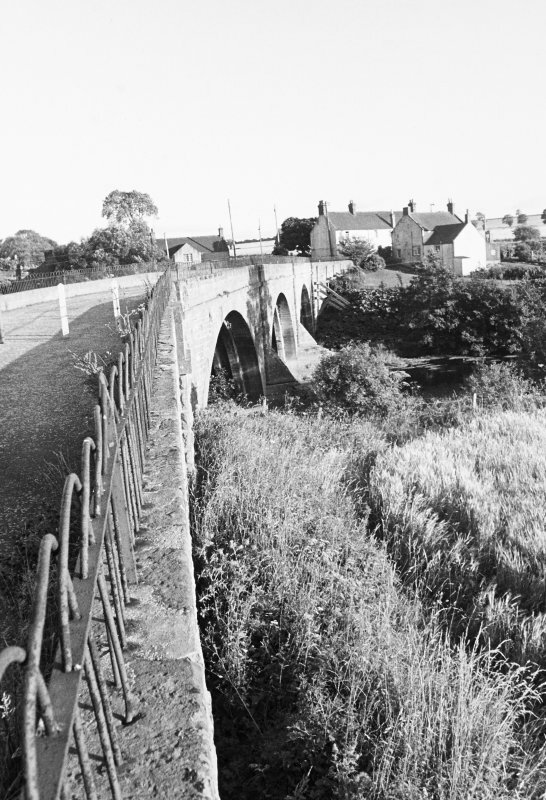 Not to be confused with Marykirk, North Water Bridge (NO 68597 65008), for which see NO66SE 21. 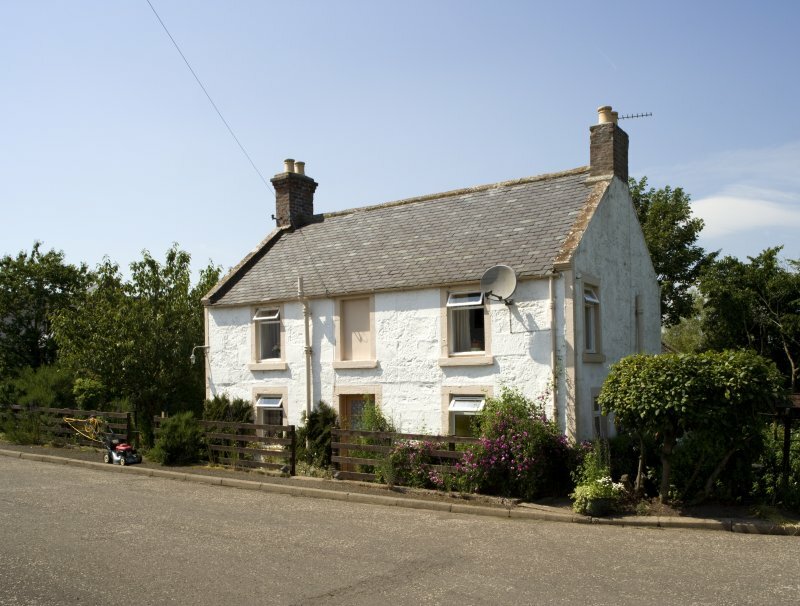 For associated tollhouse (adjacent to S), see NO66NE 67. 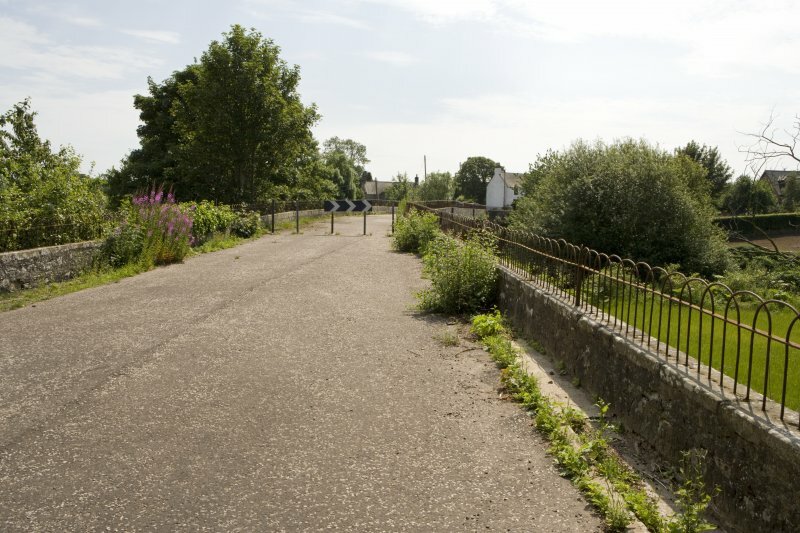 For (successor and present) New Bridge (NO 65117 66196), see NO66NE 106.
a common passage to the North of Scotland. King and estates of Parliament. 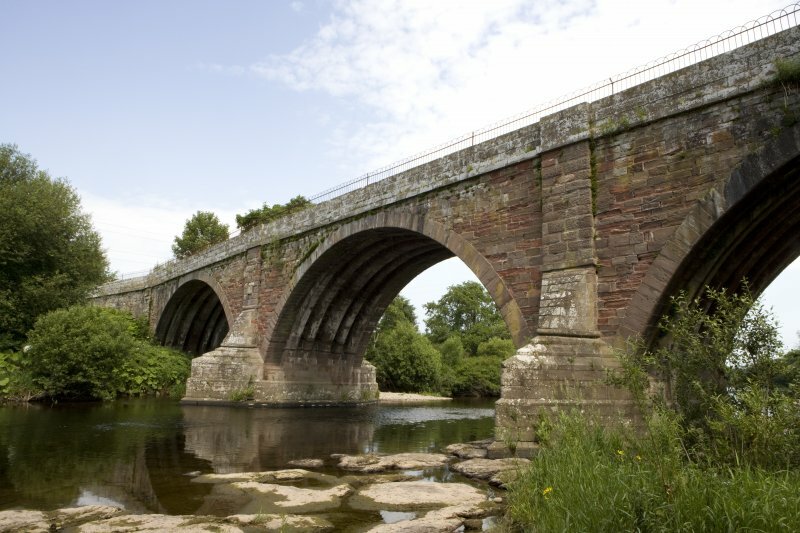 Account of disbursements for repairing the Northwater Bridge. 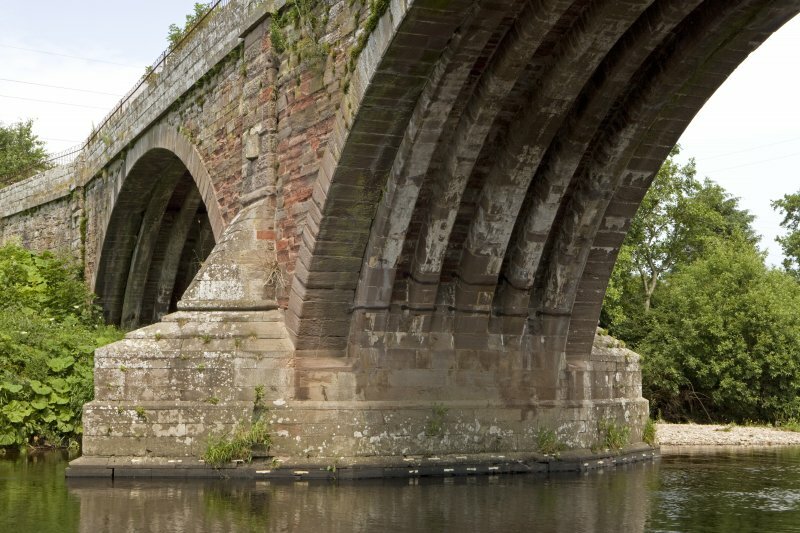 The present bridge appears to be modern. (Location cited as NO 653 662). 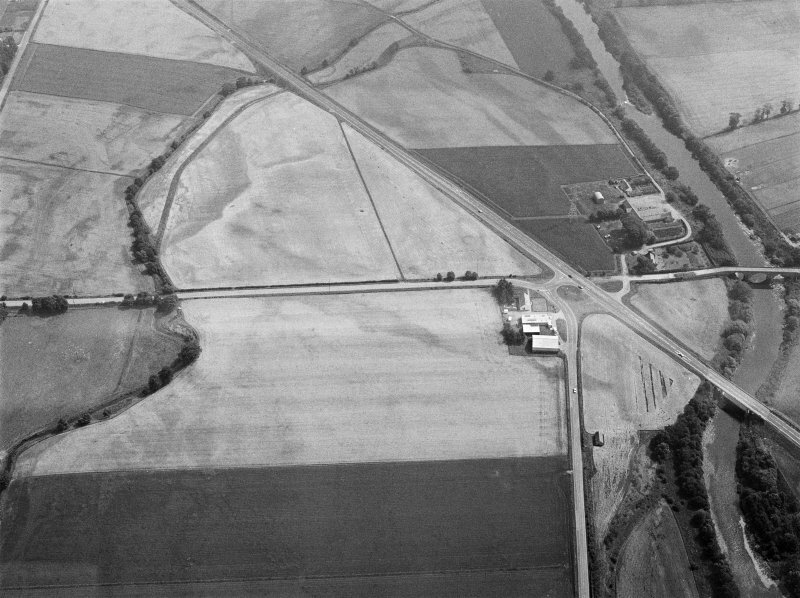 Upper North Water Bridge (HBD No. 26 - cf NO66SE 21): 16th century, widened about 1800. 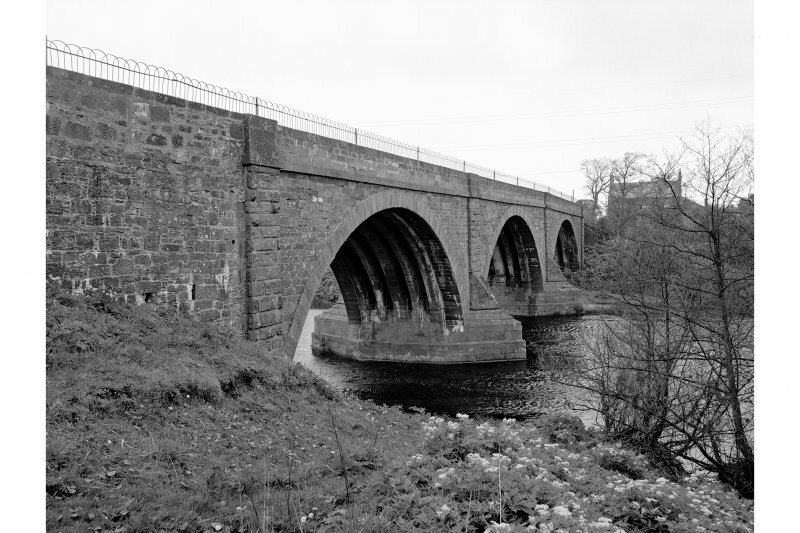 A three-span bridge, with ribbed segmental arches. 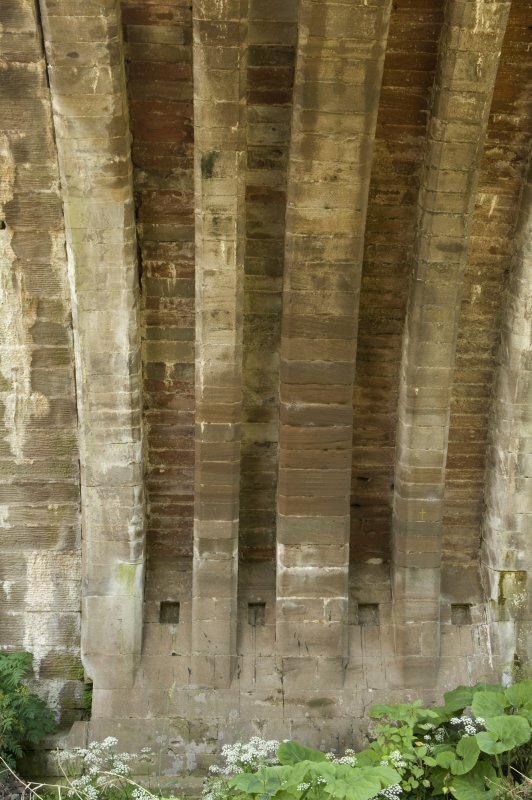 The five-arch ribs are of dressed stone, and the spandrels and wing walls are rubble. Statistical Account (OSA) 1793; New Statistical Account (NSA) 1845; J R Hume 1977. 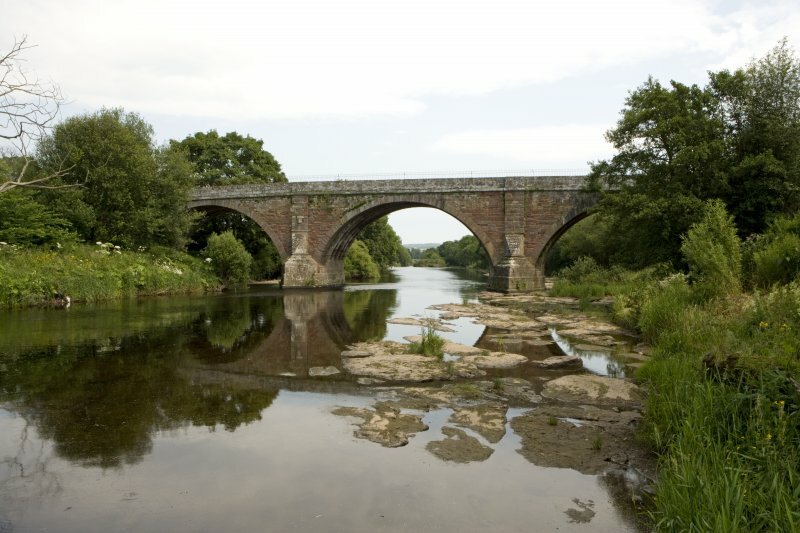 Upper North Water Bridge, 16th century, repaired 1809, widened 1841 (by John Gibb). 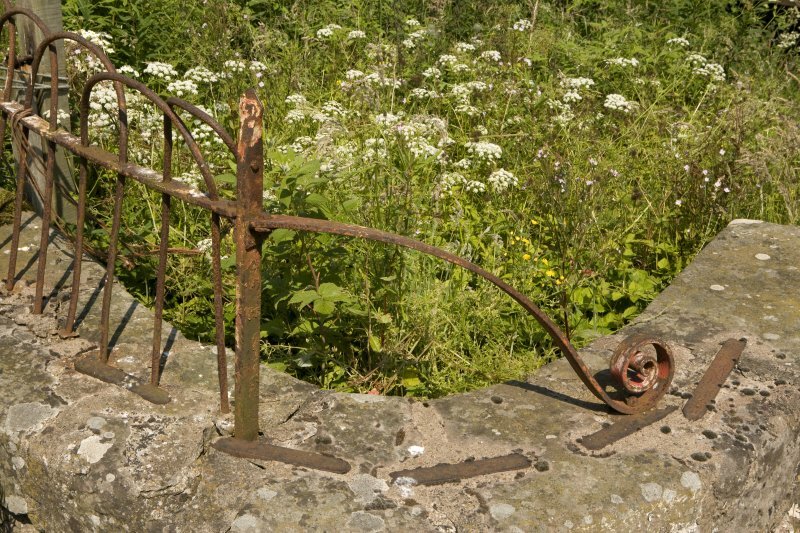 Three arches with square ribs, decayed heraldic plaque on W side, and wroiught-iron parapet. 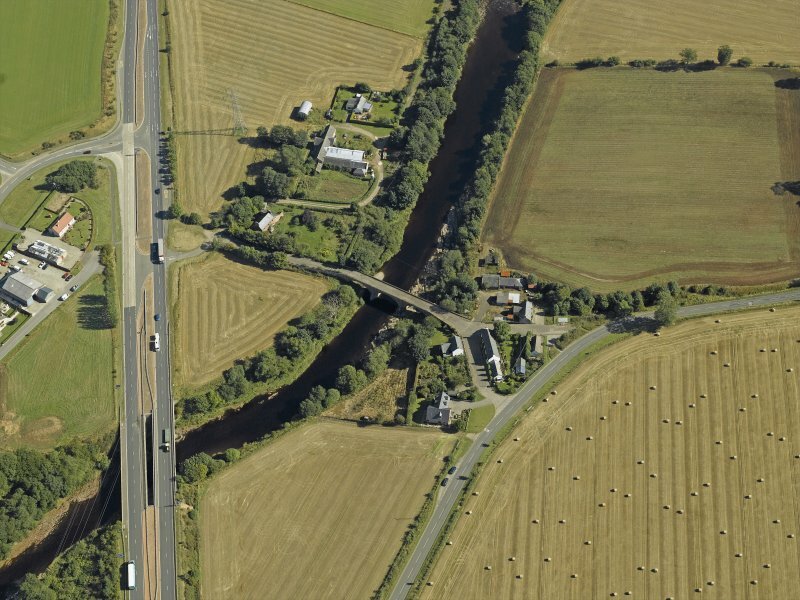 This bridge carries the former line of the A94 (T) public road across the River North Esk, which here forms the boundary between the parishes of Logie Pert (Angus) and Marykirk (Kincardineshire), to the SW and NE respectively. The location assigned to this record defines the centre of the structure. The available map evidence suggests that it extends from NO c. 65270 66175 to NO c. 65269 66103. 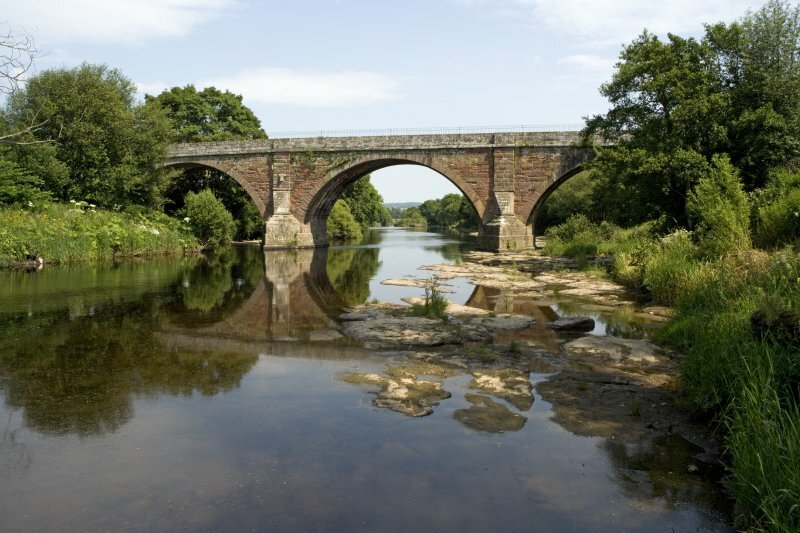 This substantial bridge, of the pre-reformation era at the intersection of the old military roads from Edinburgh to Aberdeen and Fochabers, was built in the 1520s to span the North Esk. 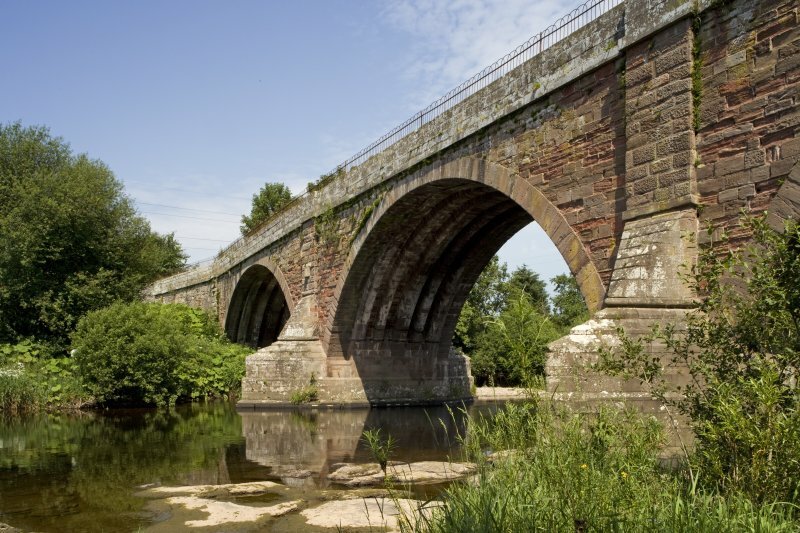 It has three spans of about 50 ft and ribbed semicircular arches and is of similar construction to the Bridge of Dee, Aberdeen. 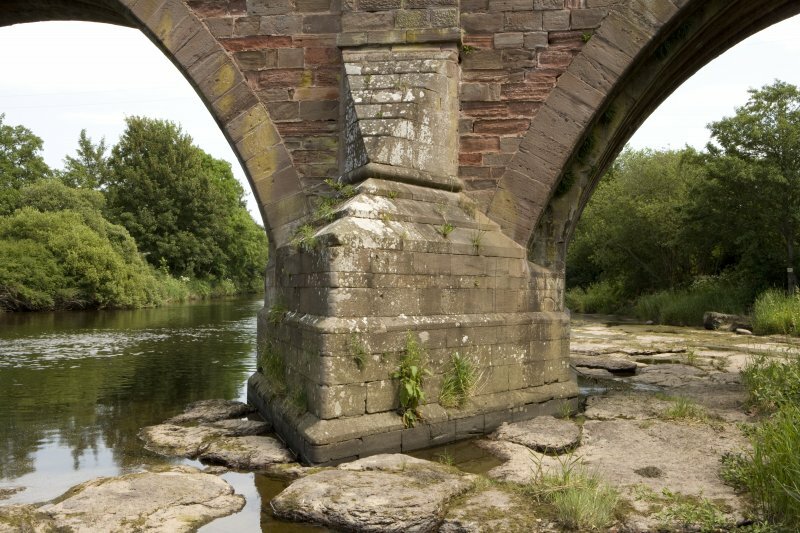 Both bridges were built under the aegis of Bishop Gavin Dunbar by Thomas Franche, master mason, to the design of Alexander Galloway Minister of Kinkeld.